The watch is very nice , and also, VERY large. It is very nice looking and very accurate and attractive. If you are looking for a large watch this watch is for you. If you are looking a for a smaller watch unfortunately this is the one you want to avoid. 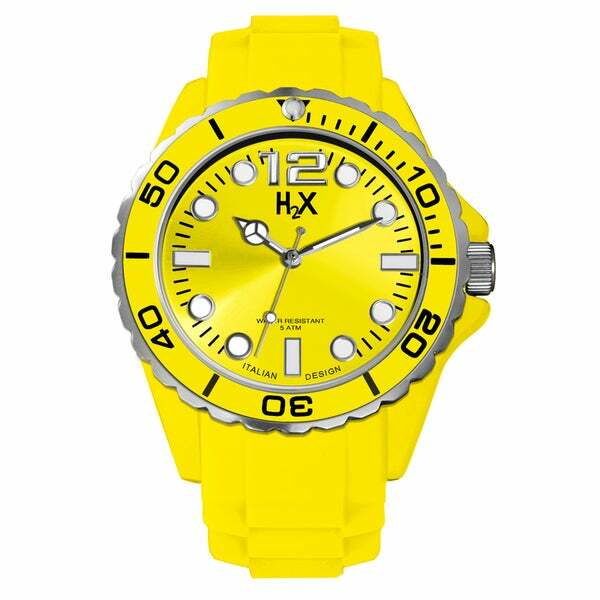 The Haurex Italy Women's SY382DY1 Reef Luminous Water Resistant Yellow Soft Rubber Watch is smart and stylish with loads of personality. Featuring a yellow analog dial and a yellow silicone band, this watch is a great addition to your style repertoire.